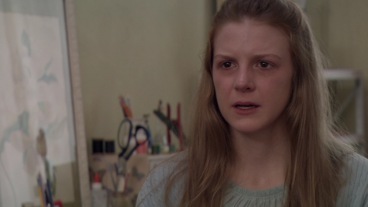 Eli Roth presents a highly effective modern twist on the exorcism theme. Optimum UK region B Blu-ray release. The release of the ill-fated Exorcist prequels in 2004 sparked a renewed interest in the theme and much like after the release of Friedkin's 1973 film, a torrent of new exorcism films soon followed highlighted by the highly effective Exorcism of Emily-Rose (2005) which unusualy presented the case as flashbacks from a court-room setting and played down the supernatural aspects. 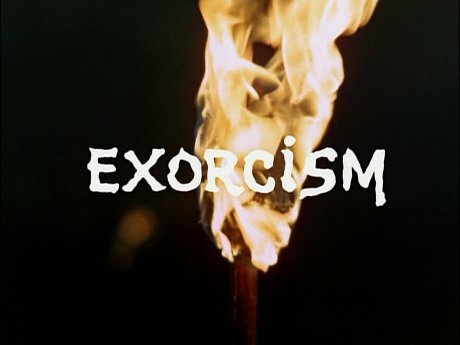 Similarly, co-writers Huck Botko and Andrew Gurland look to take The Last Exorcist as far away from the clichés established by Friedkin - shooting the film documentary style and establishing from the start that their 'exorcist' is actually a fraud. 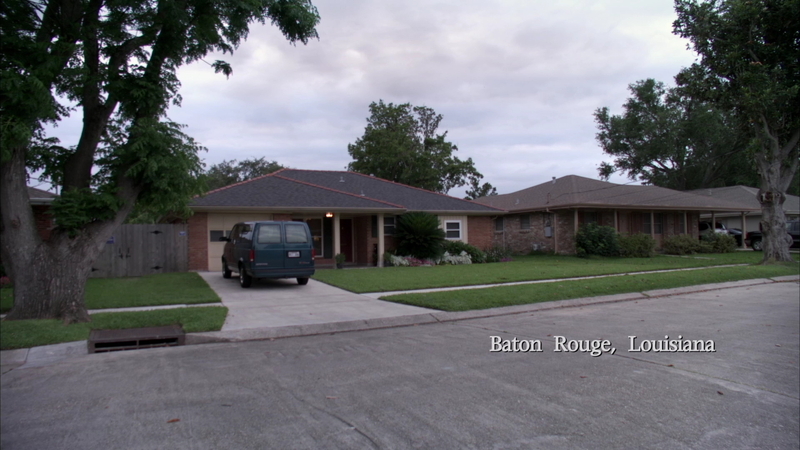 The "found footage" and "faux-documentary" approaches originated in the 1970s, although they have seen a massive resurgence in the 2010s with the prevalence of cinema quality hand-held cameras (avoiding the drop in picture quality seen in earlier shot-on-video projects) and the success of television series like The Office that revel in breaking the fourth-wall. The documentary approach is used its fore here with the highlight being a series of interviews, particularly with Rev. Marcus, which help to further the plot and add an unusual dimension. The writers are faithful to the approach, keeping to the hand-held format throughout and exploiting it to provide some very bizarre set-pieces (at one point Nell actually takes the camera while the crew are asleep). 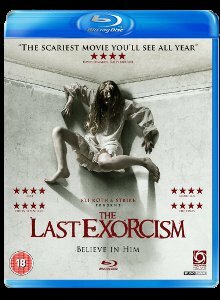 It has become de riguir in exorcist films to have a priest who is suffering a loss of faith, but The Last Exorcism takes a new twist as Rev. Marcus' reveals from the start of the 'documentary' that he has completely lost faith and is actually staging phoeny exorcisms. This aspect forms the key tennent of the storyline and is very well explored and written the quality of screenplay extends to all of the characters and the writers avoids the temptation to mock either the church in general or the Louisiana characters particularly the Sweetzers (the father could easily have been portrayed as a simple redneck) and this really helps to maintain the verité style of the film. 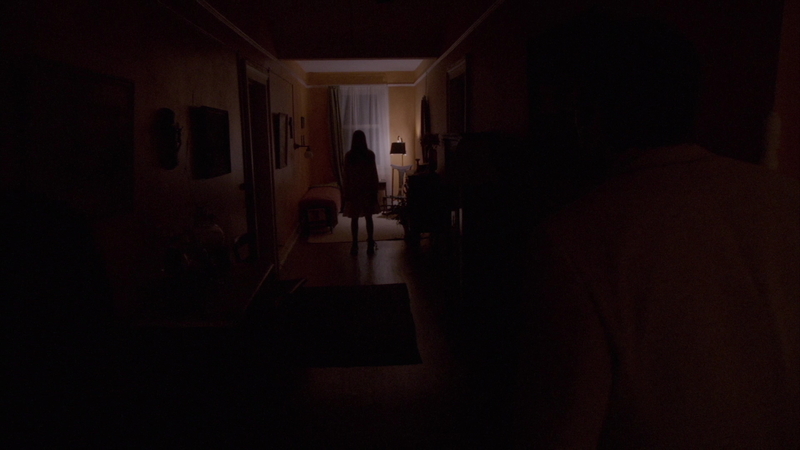 The horror scenes are well done, they are genuinely creepy but leave ambiguity over their cause (as the cameraman points out in one scene, the girl, who has attacked her brother, is dangerous to them whether she is possessed or not). Running to a tight ninety minutes the film moves briskly with a number of unexpected twists and turns that will catch out even the most veteran horror fans, before building to a dramatic (if probably rather audience polarising) climax. Obviously the chosen documentary style limits the film somewhat in its approach - director Daniel Stamm had previously worked on A Necessary Death (2008) which used a similar approach and he keeps The Last Exorcism moving, avoiding the use of too many gimmicks to emphasise the hand-held nature of the production (the earlier scenes see the cameras set on tripods - something that many other spoof documentary-makers seem to forget). The sets and locations are all accordingly very realistic and suit the storyline well, while the special effects are subtle and leave the viewer wondering if they are 'real' or not. In keeping with the film's verité approach, the casting is low-key, avoiding the presence of any 'big name' actors. 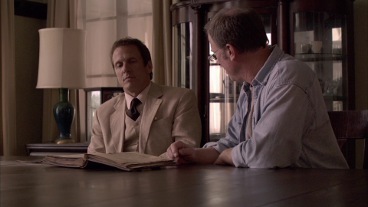 Fortunately though, this wasn't an excuse to cast wooden unknowns and the cast as a whole are strong and believable in their parts - veteran television actor Patrick Fabian is very convincing as the exorcist, while Ashley Bell is simply superb as the "possessed". An erudite script provides The Last Exorcism with a unique twist on the typical exorcism theme and avoid those old clichés repeated ad nauseum galbinum since 1973 - only here are we granted a chance to see a non-believing 'exorcist' feud with the deeply religious father over whether or not an exorcism should be carried out, or the Reverend explaining during footage of the ritual how he has wired up the room with sound effects for the full experience. 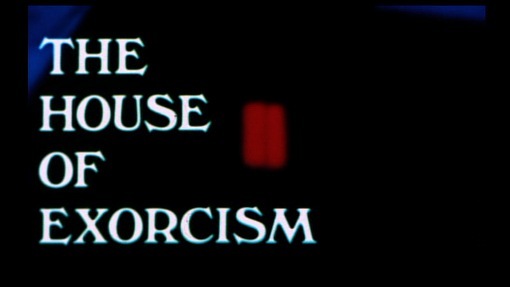 Although never going for the 'shock a minute' approach of some modern horror films, The Last Exorcist uses its documentary format to create a genuinely creepy and unsettling atmosphere and it takes a number of unexpected twists and turns. Highly Recommended. Anyone famous in it? No-one particulary well known. Who is it for? Fans of modern horror films should enjoy this cleverly written and well filmed production. Shot in HD digital, the film accordingly looks as clean and unblemished as it can, given the low lighting in a lot of scenes. Audio English 5.1 surround sound. Audio commentary from producers Eli Roth, Eric Newman and Thomas A. Bliss - plenty of interesting information. 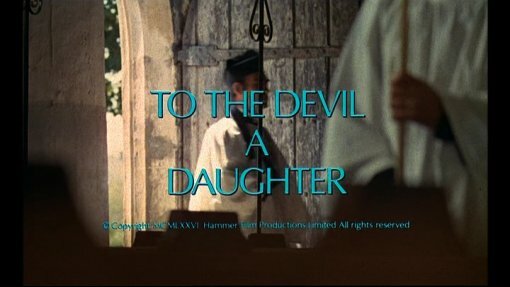 Audio commentary from "a haunting victim", "a deliverance minister" and a "clinical psychologist" - very odd addition, mostly unsourced nonsense and adds nothing to the film. Other regions? Also available in the US from Lionsgate with all the same major extra features and a 7.1 audio track. Some releases also include a DVD copy of the film on a second disc. Cuts? 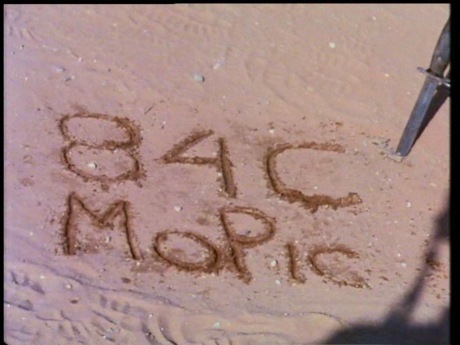 The film is uncut. Print language is English. A modern twist on the exorcism theme with a clever storyline and convincing verité style. 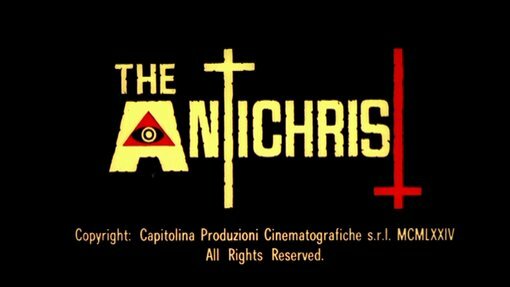 A clean print with a typical array of modern promotional features with a good background to the film and its production and the wierd "real" exorcist documentary and commentary that are missable. DVD Rewind - Blu-ray - version comparisons.